Breakfast – the most important meal of the day and as per the nutritionists you should never miss it. Several studies suggest that skipping breakfast deteriorates your health, as well as, causes obesity or weight gain. Researches also recommend that kids should start their day with a healthy and nutritious breakfast in order to help them concentrate in class better. A lot of energy is required to overcome the everyday hurdles and successfully achieve your goals. One more thing to remember that break(fast) means you will be putting something in your body after a long night of fasting. So, it is very essential to start your day with the right ingredients. Different people prefer different types of food in the morning, but the most popular breakfast choice is cereal with milk. Cereal consumers just love to bite on those crunchy, yet soggy deliciously flavored grains while slurping on the milk. Since breakfast imposes such a big impact on health, so the cereal you decide to eat must be special too. After all, you are what you eat. What can be a better option than Kellogg’s to ensure your loved ones’ and your health? Choosing the right cereal for you and your loved ones can be a bit confusing especially when there are tons and tons of options lying on the supermarket aisle. In fact, Kellogg’s sells a huge variety of cereals and all very tasty. However, before buying a cereal you should look for certain facts on the basis of nutritional values and health ratings. Sugar – To Eat or Not to Eat? To make our lives easy, Kellogg’s has introduced a voluntary Health Star Rating system on its cereal boxes which will help the consumers choose the right one based on health benefits. The system has already been implemented in Australia and New Zealand in June 2015. The ratings are determined by assessing the salt, sugar and saturated fat content in the cereal per 100g. Based on the ratings, it is seen that around 70% of the Kellogg’s cereals are healthy, and so you can eat and serve guilt-free. A healthy breakfast will ensure a healthy start for your kids. Since kids’ health are more sensitive and their health requirements are different than the adults, choosing the right cereal can sometimes become troublesome. So, here are some of the tips to help you pick a healthy breakfast for your children. (i) Source of fibre – contains at least 2g of fibre. The better option will be the cereals claiming, “good source” (contains at least 4g) or “excellent source” (contains at least 7g) of fibre in one serve. (ii) No added sugar – doesn’t have added sugar but may have natural sugar. Check sugar content. (iii) Lite or light – refers to texture or color, and not fat. Check the label for fat content. If you want to buy one of the Kellogg’s products online, you can consider looking for some coupons or discount codes in our Brand Coupon Mall website. 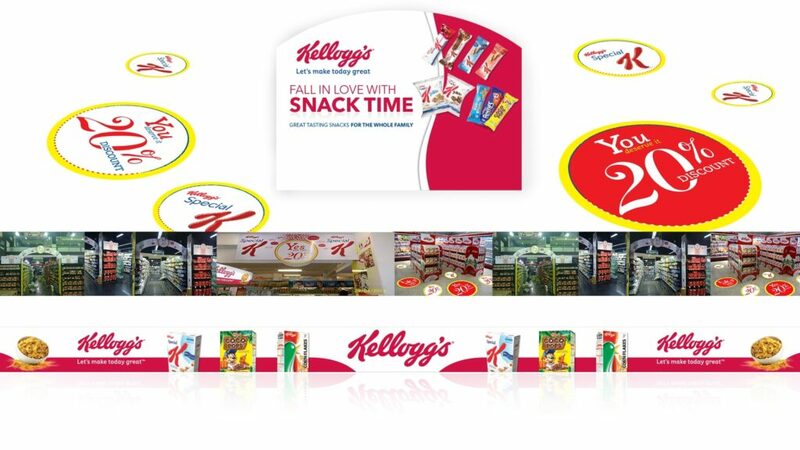 After utilizing the code, you can purchase Kellogg’s products at a discounted price. In addition, please take a look at whether you are eligible to get free Kellogg’s shipping service.